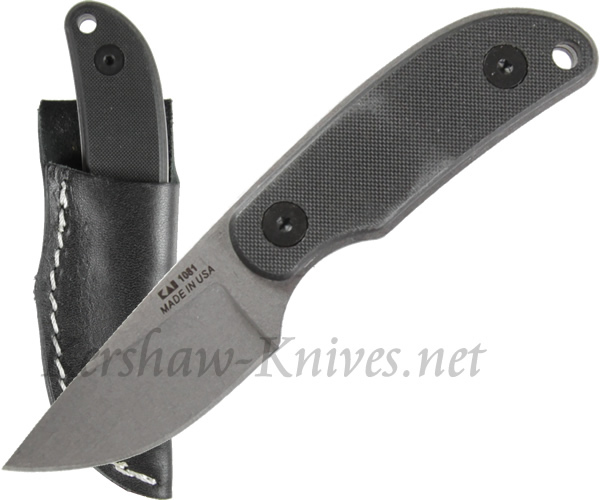 The Kershaw Mini Skinner model 1081 is the smaller version of the Skinner knife. It features a shorter 2 inch full tang blade. Some hunters like the knife for cleaning smaller game. Other hunters like the Mini Skinner as their primary skinning knife even for large game because it allows them better control of the knife. The handle has G-10 textured overlays for a nice grip as well as good looks. A leather sheath is included for carrying on your belt. The Kershaw Mini Skinner is made in USA.